Ready, set, GO! There’s no better time than now to take the first step in your career journey, and we are here to help YOU start off on the right foot! As a work-ready job seeker, your first step is preparation. Today we’ll outline how you can prepare to have a great experience at one of UPMC’s Workforce Development programs or events, and make a great first impression as you kick-start your career with UPMC. Are you ready? Let’s get started! Being ready for a career event, interview, or job fair is easy as 1-2-3! Read up on UPMC’s Mission, Vision, and Values, and learn a little more about our organization before your interview or event. Explore more entries on our Careers blog to hear from UPMC employees about why they love their roles and how you might find your place at UPMC. Check that all contact information (active phone number and email address) and work history is updated and correct. Highlight your strengths and skills, and include keywords related to the position you’re applying for. Proofread for any typos or errors! Bring a few extra printed copies of your resume with you to your interview/event! First impressions matter, and attire at career-related events should be professional and polished. When it doubt, keep it formal, conservative, neat, and clean. So you’ve written your resume, marked your calendar, and are now looking forward to an event with Workforce Development! What now? Keep the tips below in mind when you’re at your next networking event, career fair, or all-access day! Greet a recruiter, community partner, or fellow participant with a firm handshake, good eye-contact, and a relaxed but proper posture. Asking good questions in an interview or event about the position, organization, or a career path makes a great impression! This shows that you’re a pro-researcher, and are ready to embrace the career opportunities set in front of you. Congratulations! 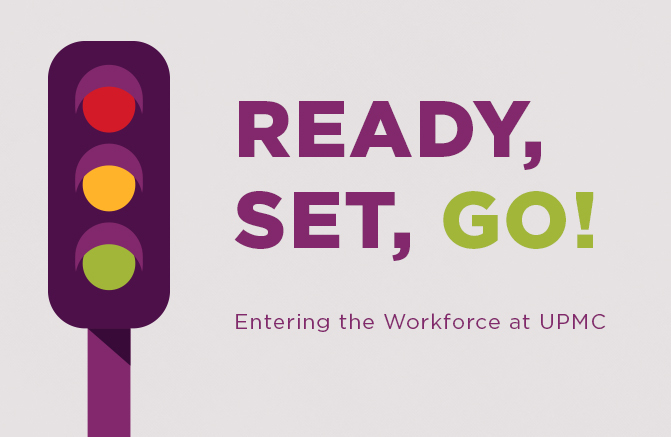 You attended your first Workforce Development event and are well on your way to pursuing a career with UPMC. One last tip will leave you feeling like a champion! Share your gratitude, re-emphasize your skills and strengths, reaffirm your interest in a position, and list a few reasons for your enthusiasm to be part of the team here at UPMC! Explore upcoming UPMC Workforce Development programs or events and schedule the next step in your career journey. There’s no better time than now to figure out where your place might be at UPMC, and to see if your skills, values, and goals match up with our mission to play a part in life changing medicine. Best wishes, good luck, and we hope to see you soon!